With the year coming to a close, I am calling my 2014 Bird Count complete at 130 photo-documented species. My final addition to the list is a bird which I seemed doomed to miss almost all year long, although I went looking for it many times in places where I knew it was commonly seen. May I present to you, the green heron! See him hiding in there? This is a smaller cousin of the great blue most folks in the region are familiar. 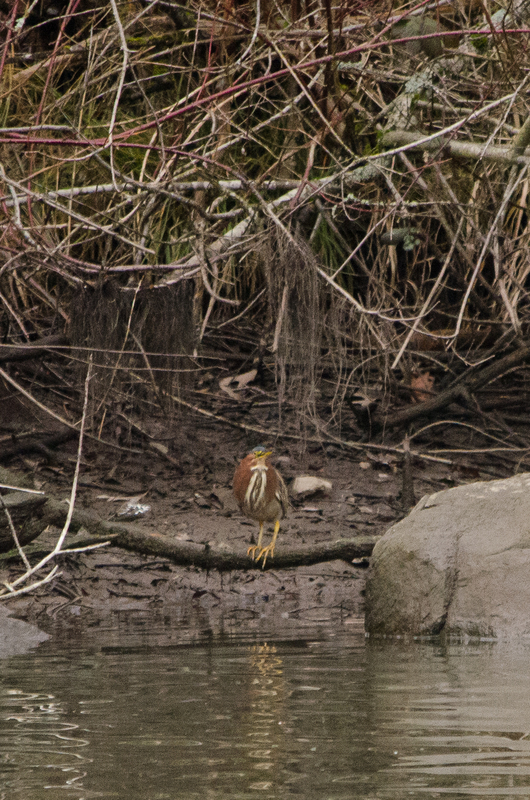 Whereas the GBH is tall and thin, the green heron is much shorter and stocky by comparison. Their name comes from the dark green cap and back; their neck and breast are a chestnut color, while the dark wings seem to have a subtle, almost rainbow hue across them.Yellow around the eye with orange legs, they are a bird of many colors. There were two green herons at Commonwealth Lake the day after Christmas; it took some effort on my part, stalking them from across the lake until they finally cooperated and showed themselves where I could take photos. A friendly fellow birdwatcher I had chatted with earlier helped me pick out the second one, after which it apparently gave up hiding as it flew to another perch. 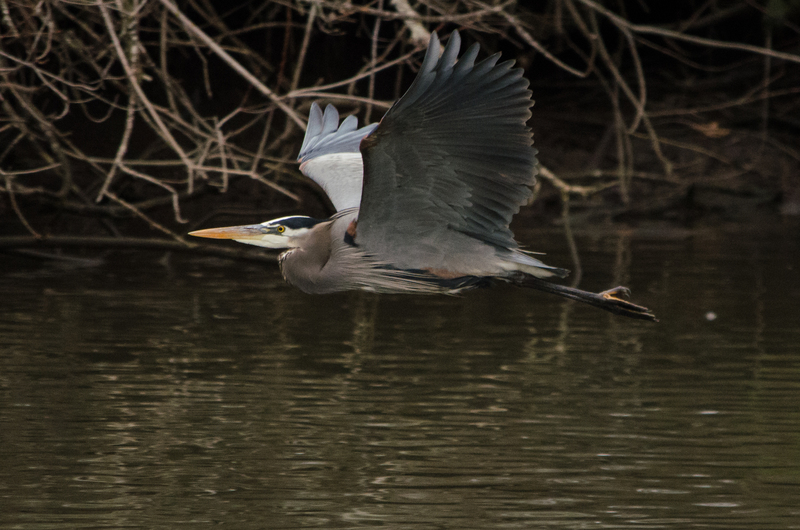 While at the park, I did also have a great blue heron fly over the water for a couple of quick snapshots. A red-tail hawk was being harassed by a crow nearby, a red-winged blackbird sang from bare branches near the creek, and a collection of mixed ducks, grebes, and mergansers swam in the lake. I was only there for a short time, but it was well worth the trip! Congrats on the last bird of her year! 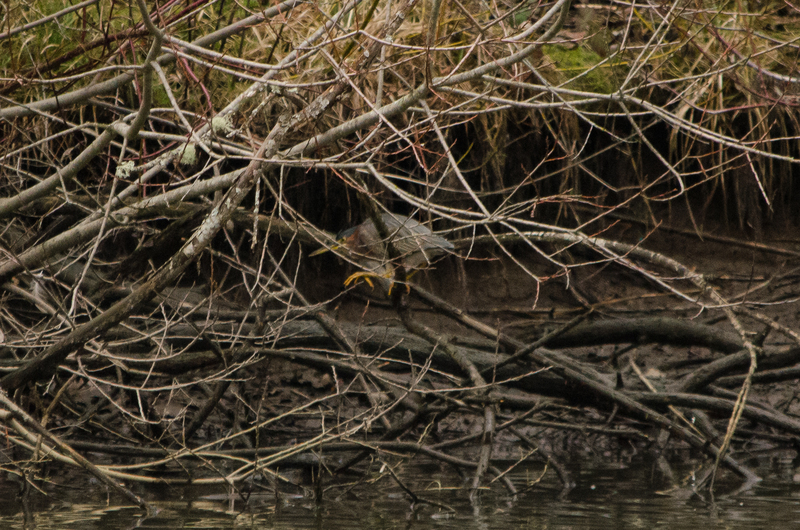 I can’t think of a more fitting one than the shy green heron. It took me more than a year to spot one, but once I did, I started seeing them everywhere. It was unlocking a level on a kid’s video game. Happy New Year! Thank you, Shannon! 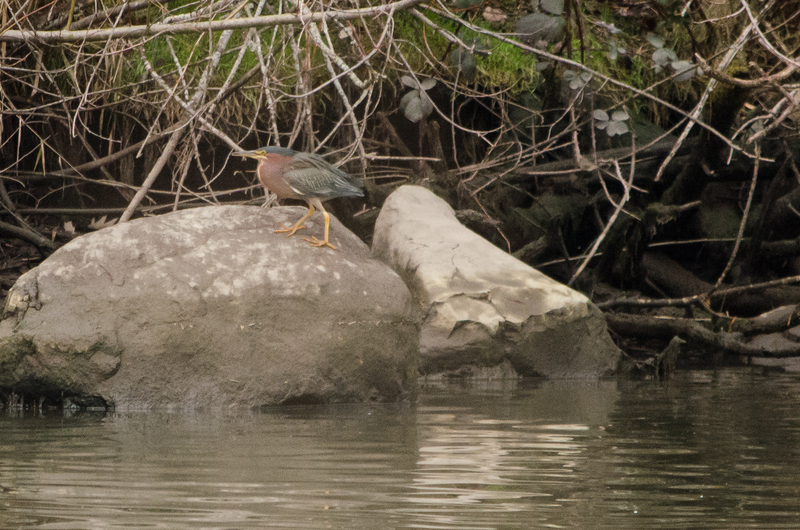 I was super excited to finally find a green heron. I know with a lot of the birds I’ve gained familiarity with this year, it feels very similar to what you describe; they are suddenly everywhere! The comparison to unlocking a video game level is great. Happy New Year to you as well! What a great list! Great shots of the Green Heron; they are simply beautiful with they combination of colors. Happy New Year and may 2015 bring you many hours of birding! Thank you, Sheila! Happy New Year to you as well! I hope you view many new wonders in 2015. Awesome photos as always. What is the bird in the second to last photograph? Thanks Jea Nne! 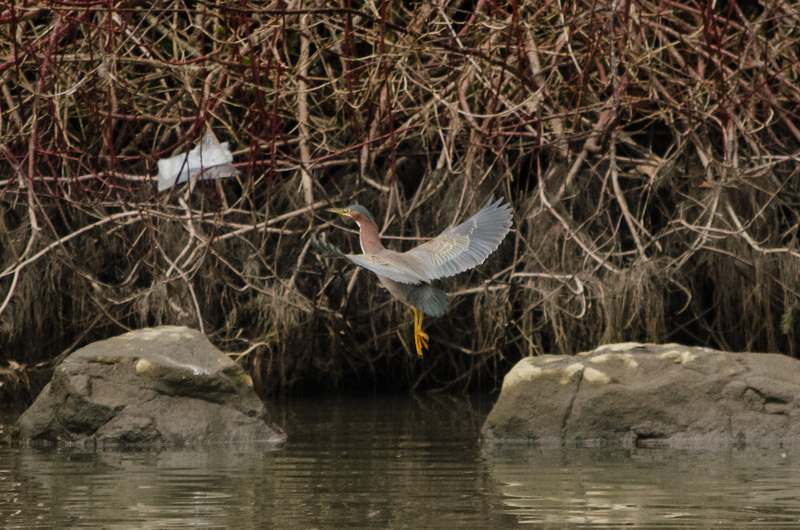 The second-to-last is a green heron in flight.